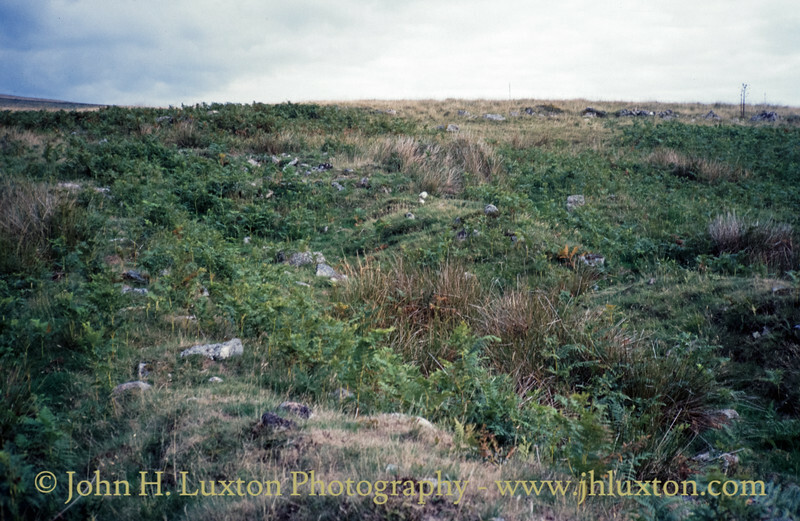 Site of the King's Oven Tin Smelting Works. 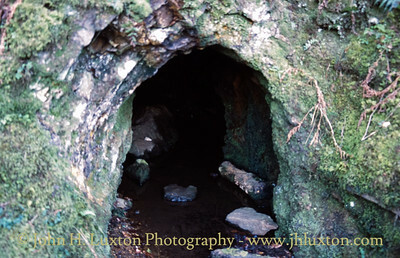 Open workings at the site of Bushdown Mine. 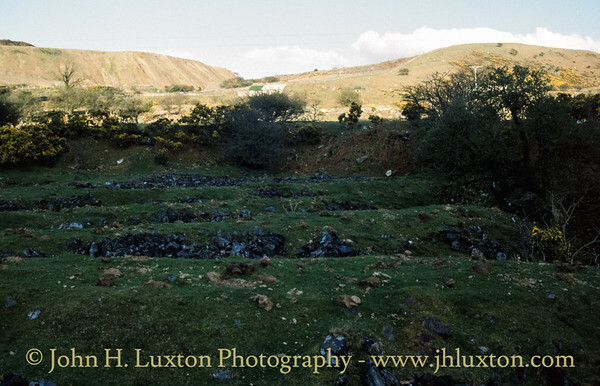 Foundations of the former Hydro Electric Power Station beside Saddle Bridge which served Hooten Wheals further up the O Brook. 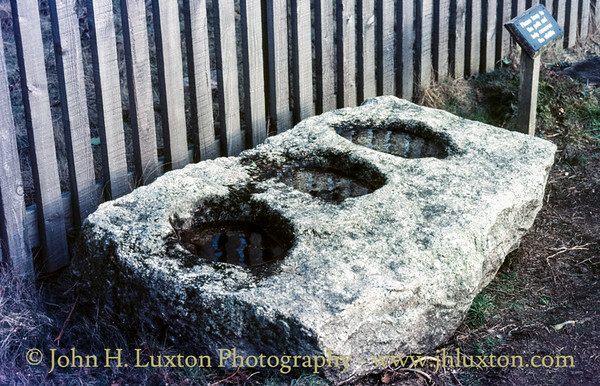 A Mortar stone from a blowing house that was flooded when Venford was built - placed on display near the reservoir during the 1980s. 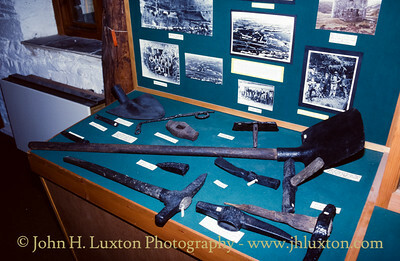 Mine tools including a poll pick. 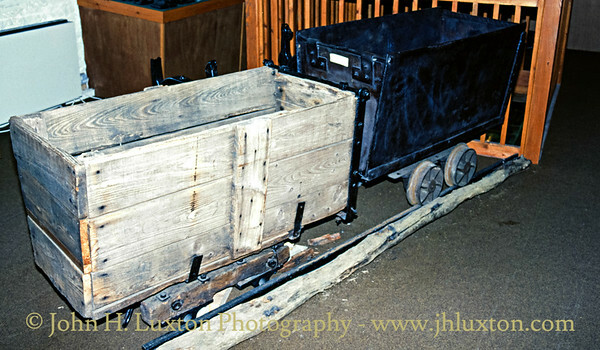 Wheal Friendship narrow gauge mine bogie. 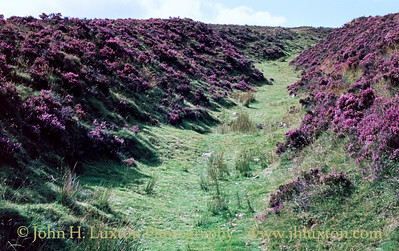 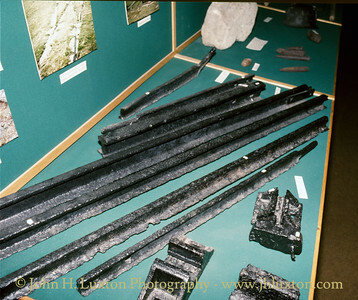 Selection of Dartmoor Mine tramway rails. 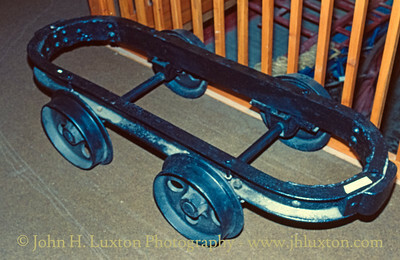 and rail chairs. 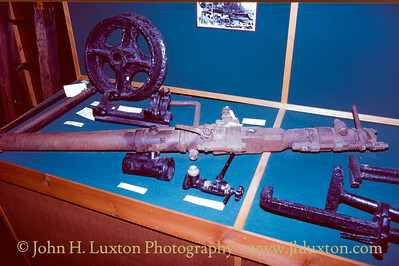 Great Rock Mine - Holman Climax Rock Drill. 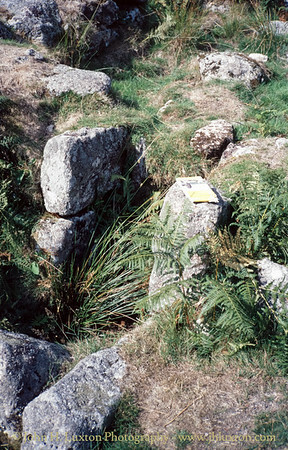 Birch Tor and Vitifer Mine Ladder. 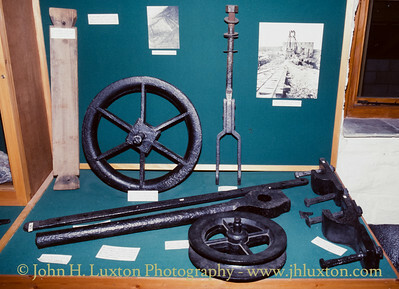 Hooten Wheals (Hexworthy) Mine- various items of equipment. 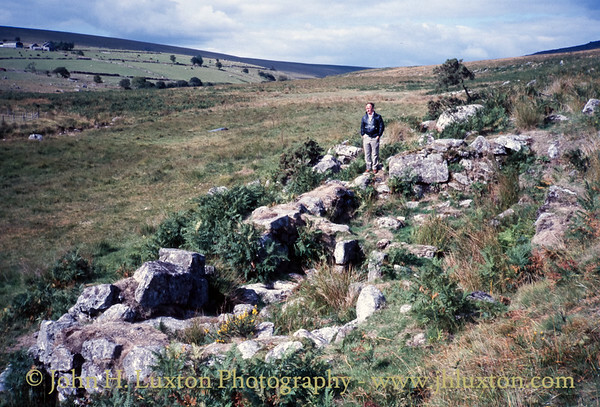 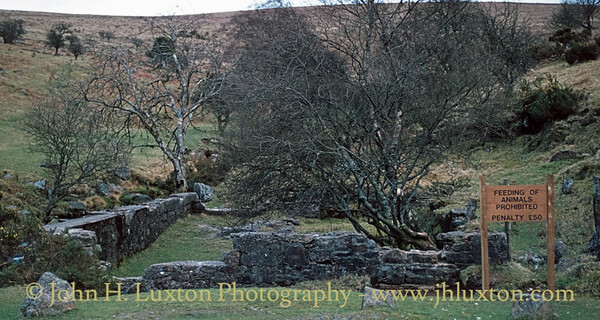 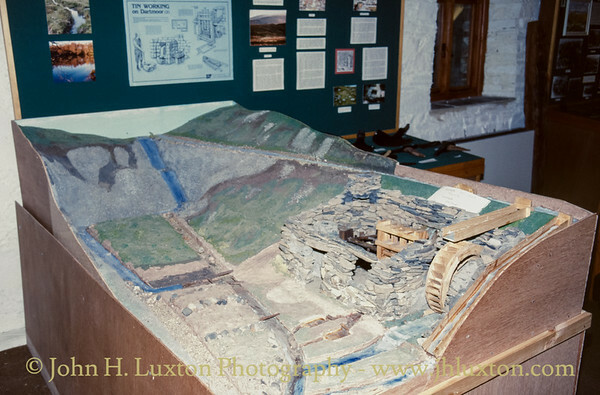 Merrivale Tin Blowing House (lower)- my father John William Luxton lends scale to the remains. 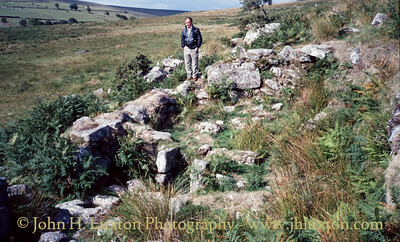 Remains of the furnace in the lower blowing house. 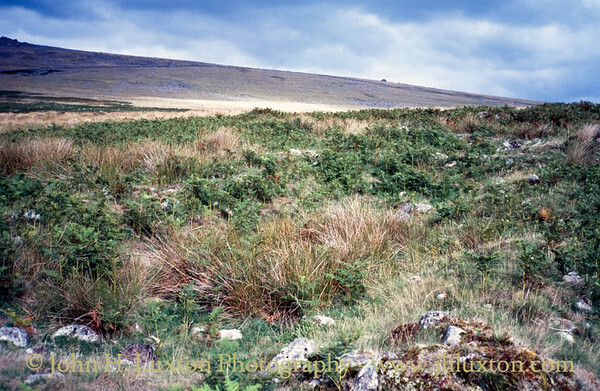 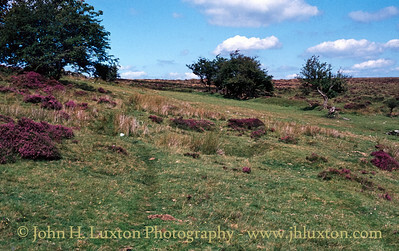 Site of the upper blowing house at Merrivale.